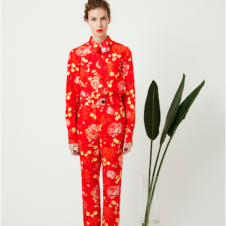 At first the Hermione de Paula’s s/s ’12 collection titled Darlingtonia’s Obsession, seems to be about pretty floral prints with the lookbook appropriately set in a tropical garden. But, in case you didn't know, a ‘Darlingtonia’ is a carnivorous California pitcher plant. With this knowledge, the collection gains a little more edge. The prints come alive, as you realize it's not prints of tropical flowers, but exotic birds entwined in weeds. 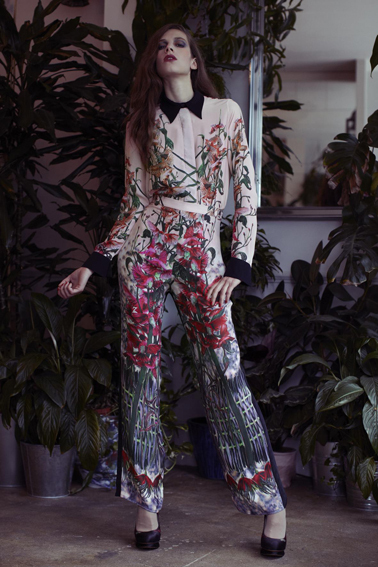 Designer Hermione de Paula’s signature is feminine floral prints with twisted undertones. Hidden in the weeds, the s/s '12 collection references lust, passion, infatuation, and entrapment, themes closely along the lines of Hermione life philosophy: “I probably shouldn’t, but I will anyways.” How many times have we said that? 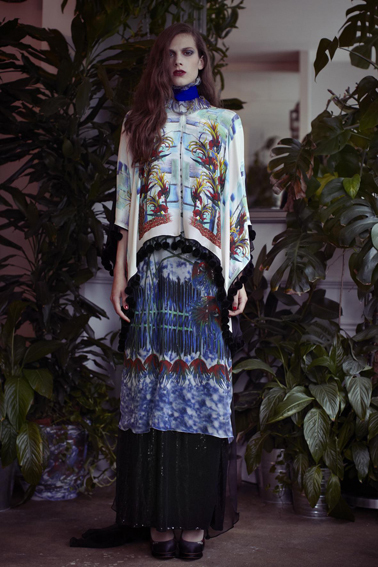 See some chosen ones from Hermione de Paula’s s/s ‘12 collection, Darlingtonia's Obsession below.